More Fonts for the Text Generator! This entry was posted in Chat Codes and tagged chat, code, codes, emoticons, facebook, firefox, generator, google, google chrome, Kirill, smiley, smileys, smileyti.me, text, text-generator. Bookmark the permalink. 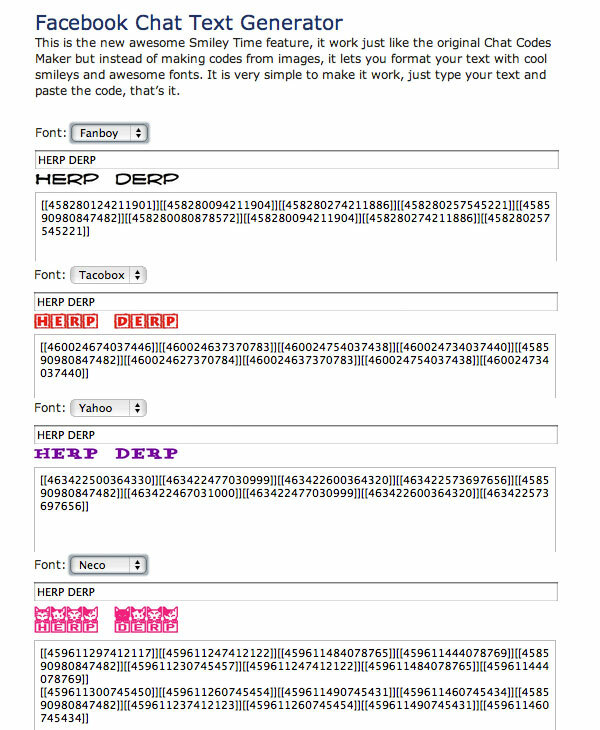 6 Responses to More Fonts for the Text Generator!